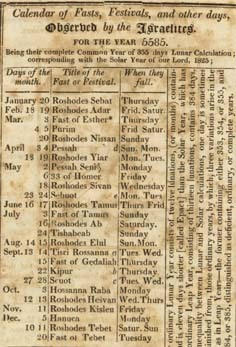 Calendar of Fasts, Festivals, and other days, Observed by the Israelites. For the year 5585 . . . Directory and Stranger’s Guide for the City of Charleston; Also . 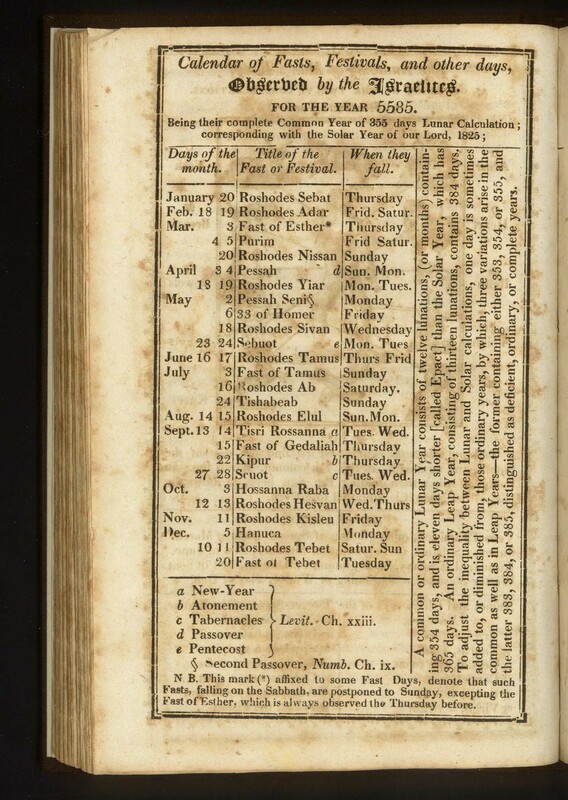 . . An Almanac for the Year of our Lord 1825 . . . . In 1825, Jews constituted a sufficient portion of Charleston’s population—and especially of the merchant community—to warrant a page identifying Jewish holidays in the almanac section of the city’s Directory and Stranger’s Guide.